Ira S. Goldenberg, Esq. is a partner in the law firm of Goldenberg & Selker, LLP. He has more than 20 years of experience representing boards of condominiums, homeowners associations, and cooperatives. He also represents sponsors/developers, unit owners, sellers, and purchasers. 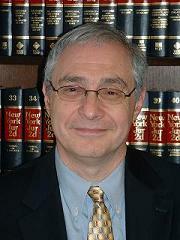 He is the Co-Chair of the New York State Bar Association, Condominiums & Cooperatives Committee. Mr. Goldenberg is an Adjunct Professor at Brooklyn Law School where he teaches "Law of Condominiums, Cooperatives, & Homeowners Associations." He is a member of the New York State and Westchester County Bar Associations. Diane E. Selker, Esq. is a partner in the law firm of Goldenberg & Selker, LLP. She brings to the firm 29 years of experience in appeals and motions. Prior to entering private practice, Ms. Selker was chief of the Motions and Special Litigation Bureau of the Westchester County District Attorney’s Office. She has taught Continuing Legal Education classes in speedy trial rights and in application of New York’s civil procedure law to criminal practice. She is a member of the New York State and Westchester County Bar Associations. With their combined expertise, Mr. Goldenberg and Ms. Selker are ready to handle your real estate issues at every stage of the proceedings.